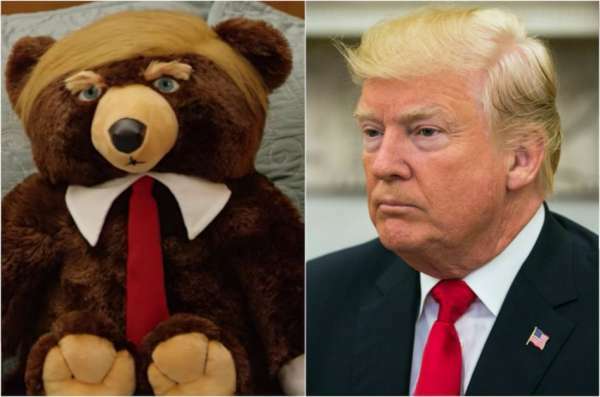 Wondering if it comes with a Mrs. Trumpy Bear that you can trade in for a younger model every few years! And, I always thought he was more likely to appear before a judge than be one! Build that wall on Canadian border. Now! …she’ll be there forever if she waits for customer service! As opposed to the usual ‘on purpose’ groin shootings. …you gotta be Putin me on! It’s like Jay Z vs Cray Z. Well, he does have a touch screen. The evening sky now has 1001 points of light. God speed.